The dogma that a pubic corporation has a legal obligation to maximize shareholder value has pervaded management thinking for decades. Consequently, Corporate America has, by and large, held the notion that the purpose of a public corporation is shareholder wealth maximization, which has long been measured by company stock price, greatly influenced by short-term profitability. This myopic focus on short-term profitability has led to a “whatever it takes” attitude, as executives tie their “worth” to their companies’ share prices. There is only one problem with the shareholder value model. Contrary to popular belief, shareholder primacy theory is just that – a theory. And while shareholder primacy has become uniformly accepted by professionals and academics in finance, management, and law, it is not required by the actual regulations of corporate law. HOW, THEN, DID WE GET HERE? The turn of the 20th century represented the onset of the public company. Prior, many corporations were closely held or private, such that company stock was held by a single controlling shareholder or a group of shareholders. The “purpose” of a company was hardly debated, because a company’s purpose was whatever its controlling shareholder(s) deemed it to be. The advent of public corporations forever changed business. Public companies began selling stock to hundreds, even thousands, of investors – investors who had no interest in being involved in the company’s daily affairs, but instead were making investments in companies they anticipated would experience a rise in share price. Buy Low. Sell High. In the 1970s, a group of renowned free-market economists from the Chicago School of Economics perpetuated the notion that the sole purpose of a public corporation was to make money for its shareholders, as such shareholders were the “owners” of the company. If executives pursued any other objective besides maximizing shareholder value, these executives were misbehaving “agents” imposing “inefficient agency costs” on both society and its shareholders. 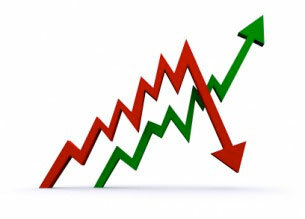 An increase in share price was viewed as financially healthy, a signal of economic success. If you are thinking this sounds just like Milton Friedman’s publication of “The Social Responsibility of Business is to Increase its Profits”, you are correct. Six years later, economists Michael C. Jensen and William H. Meckling published the famous principal-agency theory paper: “Theory of the Firm: Managerial Behavior, Agency Costs, and Ownership Structure”, further detailing the separation of ownership from control that creates “agency costs”. This article perpetuated the myth that managers must seek only to serve shareholders’ interests, and that shareholders’ interests are all homogeneous and equivalent to the desire for an increase in share price. The principal-agent model assumes that shareholders are the “owners” or “principals” of a corporation, who hire executives to act as their “agents”. This model, although widely accepted, vastly oversimplifies the actual structure of a corporation with thousands of shareholders and dozens of directors. Yet, the principal-agency model is still today one of the most widely taught business theories, even though Jensen and Meckling themselves were not businessmen or lawyers, but economists. The simple truth is that shareholders do not “own” the corporation, corporations are independent legal entities that own themselves, just as do entities that do not have shareholders – universities, nonprofit organizations, etc. Moreover, the role of the Board of Directors is to act within the best interest of the corporation, which is not synonymous with maximizing short-term profits for shareholders. But the Chicago School’s approach was widely attractive. The application of economics to understand corporate law and management practice was seemingly intellectual and data-driven. The use of a single metric to measure economic efficiency led to a multitude of analytical studies that linked share price to board structure, mergers, equity-based compensation, you name it. Adding insult to injury, in the 1990’s, the Securities Exchange Commission (SEC) adopted a series of regulations mandating boards pay closer attention to shareholder demands. In 1992, shareholder proxy voting was amended to make it easier for shareholders to unite and challenge boards, and in 1993, Congress amended the tax code to motivate corporations to tie executive compensation to stock price and other performance metrics. Equity-based compensation skyrocketed. In 1991, the average CEO of a large public company received compensation 140 times larger than that of the average employee. By 2003, executive compensation was an approximate 500 times as large. By the 1990’s, Corporate America was doomed. Business executives, policy elites, scholars, journalists, business and even law school professors, were advocating the shareholder primacy doctrine, further engraining the misconception into society. The stakeholder activists were now few and far between. Shareholder value maximization theory had become so commonplace that although most of its proponents could not even recall its roots, the dogma was just simply accepted. United States corporate law does not, and never has, required directors of public corporations to maximize either share price or shareholder wealth. To the contrary, as long as boards do not use their power to enrich themselves, the law gives them a wide range of discretion to run public corporations with other goals in mind, including growing the firm, creating quality products, protecting employees, and serving the public interest. Chasing shareholder value is a managerial choice, not a legal requirement. – Lynn Stout, The Shareholder Value Myth. “A business corporation is organized and carried on primarily for the profit of the stockholders.” – Michigan Supreme Court. Facts: Ford Motor Company announced a plan to cease paying out special dividends to shareholders and instead reinvest profits in order to employ more workers and build more factories. “My ambition is to employ still more men, to spread the benefits of this industrial system to the greatest possible number, to help them build up their lives and their home. To do this we are putting the greatest share of our profits back in the business.” Minority shareholders, including the Dodge brothers, sued to stop Ford’s plans, arguing that the purpose of the company was to maximize shareholder profits, not to help the community by making affordable cars, or employ more workers. Ruling: The Trial Court ordered Ford to give out a big dividend to the shareholders. Ford appealed. The Michigan Supreme Court affirmed. Ford v. Dodge is a widely misunderstood judicial opinion, but, nearly a century-later, is still the most widely cited “legal proof” of shareholder primacy validity. What many reiterations and story tales of this nearly century-old court ruling fail to mention is that this case was actually about a closely held company and the duty of a controlling majority shareholder (Ford) to its minority shareholders (Horace and John Dodge). The Michigan Supreme Court’s comment, “a business corporation is organized and carried on primarily for the profit of the stockholders”, is what legal experts call mere dicta – a comment made in Court that is merely a judge’s editorializing and does not directly address the specifics of the case at bar, nor is necessary to arrive at the holding. Mere dicta is not worthy of setting precedents and future court decisions are free, and in fact encouraged, to ignore such comments. The simple truth is that shareholder primacy lacks any solid basis in corporate law, economics, or empirical evidence. In fact, Delaware, home to the majority of Fortune 500 business incorporations, clearly states in its corporate code that corporations can be formed for any lawful purpose. Delaware Court has cited Dodge v. Ford only once in the past three decades – not on the topic of the purpose of a public corporation, but rather in a case dealing with controlling shareholders’ duties to minority shareholders. There is, in fact, nowhere in the legal system a mandate for corporations to maximize shareholder value. We can confirm this by reviewing internal law, state codes and statutes, and federal law. Internal law requires corporations to explicitly detail articles of incorporation and by-laws describing the company’s “purpose”, yet this purpose can be whatever the Founders of the company deem it to be. Similarly, state codes and statutes do not mention the maximization of shareholder value, rather “corporations can be formed to conduct or promote any lawful business or purpose” (Delaware corporate code). And federal law, or judicial opinions, follow the business judgment rule. 1986: Revlon Inc. v. MacAndrews & Forbes Holding, Inc.
Facts: Directors of Revlon (a public company) wanted Revlon to be sold off to a group of private shareholders and become a private company. This would require public shareholders to give up their equity interest in Revlon in return for cash or other securities. The Delaware Supreme Court held that the business judgment rule did not apply here, and Revlon’s board had a duty to obtain the best possible price for the public shareholders’ (soon to be ex-shareholders) shares. While this case is often cited next to Ford v. Dodge in an attempt to prove shareholder primacy, this case is not at all about the primary purpose of a public corporation, rather the Delaware Supreme Court has asserted that when a public corporation is about to privatize, the business judgment rule no longer protects the Board. This ruling in no way contradicts the fact that public companies that are to remain public do not have a legal duty to maximize shareholder wealth. 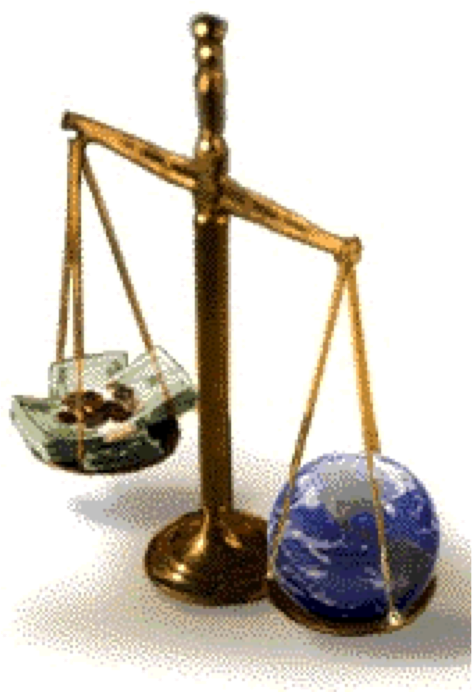 As far as the law is concerned, maximizing shareholder wealth is not a requirement. 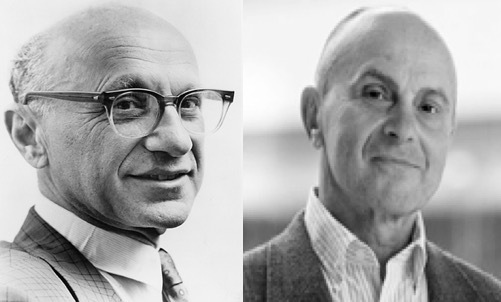 Is shareholder value theory economically counterproductive? While it is true that shareholder value maximization is not a legal requirement, it is still, of course, an option that management can choose to pursue. The question thus becomes: is “shareholder primacy” an economically efficient business model? A shortsighted focus on earnings per share (EPS) at the expense of longer-term performance has propelled capitalism, stymied innovation, exacerbated income inequality, and, in fact, created very little value for shareholders. This obstinate quest for short-term profits has resulted in nothing more than a myriad of expensive catastrophes: from massive fraud at Enron and WorldCom, to the sub-prime mortgage crisis of 2008-2009, to the BP Oil spill in 2010. CEOs have long been blamed and ostracized as greedy and immoral. And many cases of imprisonment, firing, and massive financial penalties have ensued, as we have blamed the perils of the system on flawed individuals. Perhaps we should consider that these perils are actually the result of a flawed idea. If shareholder primacy was truly economically efficient, than companies embracing shareholder-oriented business models should theoretically outperform. But years of research point to uncertainty: dual share classes, staggered boards, increased proxy rights for shareholders sometimes result in companies that outperform and sometimes result in companies that are forced into bankruptcy. “These studies may be looking in the wrong place and at the wrong time period. It is not only possible, but probable, that individual corporations can use strategies to “unlock shareholder value” that have the effect of increasing the wealth of certain investors at certain times, while perversely reducing aggregate shareholder wealth over the long term. To understand this counterintuitive idea, imagine what you might find if you did an empirical test of the best method for catching fish. On first inspection, one reasonable approach might be to do a statistical analysis of all the individual fishermen who fish in a particular lake, and compare their techniques with the amount of fish they catch. You might find that fishermen who use worms as bait get more fish than those who use minnows and conclude fishing with worms is more efficient. On the face of it, shareholder value is the dumbest idea in the world. Shareholder value is a result, not a strategy. 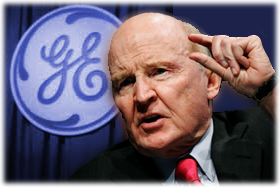 – Jack Welch, Former CEO, General Electric. “Shareholder primacy” is, in part, derived from an erroneous notion that what is good for stakeholders must be bad for shareholders. But business is not zero-sum. It’s time to redefine capitalism. To be successful in business, we have to be ready to buy into the stakeholder theory…We have to build radically higher levels of trust and transparency with all of our stakeholders. We need legions of ‘stakeholder activists’ who seek to hold companies accountable for all constituents, going beyond the role of investor activists, who focus on holding CEOs and boards of directors accountable in terms of share price. Ultimately, the most effective way to create shareholder value is to serve the interests of all stakeholders.